Martin is an Associate in the Litigation Practice Group. Martin comes to Freeborn after serving as an Assistant State’s Attorney in Cook County for the past seven years where he had a unique opportunity to hone his skills in state and federal courts at both the trial and appellate court level. 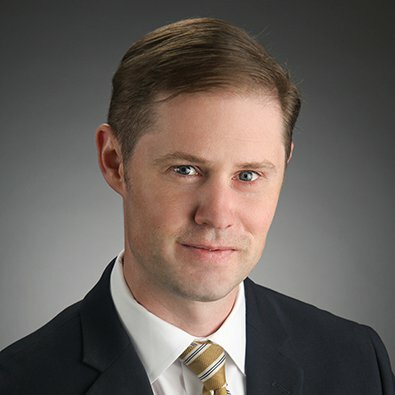 Martin started his career at the State’s Attorney’s Office in the Criminal Appeals Division where he successfully handled numerous appeals and argued several cases before the Illinois Appellate Court, First District. He then worked his way to the Felony Trial Division where he successfully tried hundreds of bench trials, evidentiary hearings, and numerous jury trials. After several years of prosecuting criminal cases, Martin had the opportunity to practice in the Federal Civil Rights and Torts Unit of the State’s Attorney’s Office, where he represented police officers, public officials, doctors, and county agencies in a wide variety of complex litigation. Martin has first-chaired numerous wrongful death claims and cases with significant media exposure and achieved successful results in federal jury trials and before the United States Court of Appeals for the Seventh Circuit. Most recently, Martin served in the Complex Litigation Unit at the State’s Attorney’s Office where he handled particularly sensitive cases, including alleged wrongful conviction cases; representing Assistant State’s Attorneys named as individual defendants; preparing and presenting executive staff for depositions; and handled cases with multiple defendants requiring coordination with outside co-defense counsel. Martin earned his undergraduate degree from the College of the Holy Cross in Worcester, Massachusetts, and his law degree from Loyola University Chicago School of Law. He continues to serve as an adjunct professor in the trial advocacy program at Loyola University Chicago School of Law, where he coaches a trial team and was named the law school’s Coach of the Year in 2012. Chicago Lawyer magazine covered Matthew T. Connelly and Martin D. Syvertsen’s move to Freeborn. Matthew T. Connelly and Martin Syvertsen have joined the firm as Associates in the Litigation Practice Group.